Eleanor Senior is a PhD student in veterinary parasitology at the University’s Institute of Infection and Global Health. 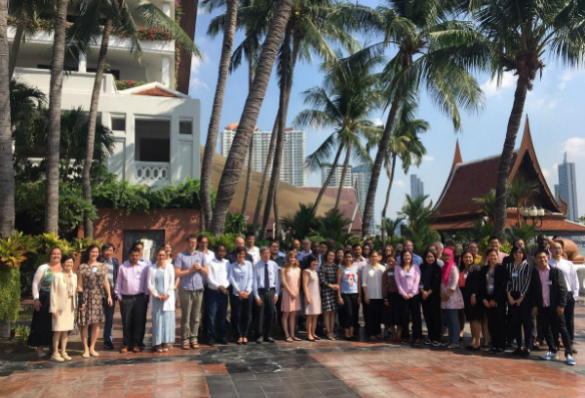 “Recently I was fortunate enough to be accepted on the Global Challenges Research Fund (GCRF) Networks Vaccinology Course hosted in Bangkok, Thailand. This course was run by a consortium of bodies from the GCRF’s vaccine network; IVVN, BactiVac, HIC-Vac, IMPRINT and VALIDATE. It was in association with United Nations Food and Agriculture Organisation (UN FAO) through the European Commission for the Control of Foot and Mouth Disease (EuFMD). It was the first time that a course such as this had been run in Thailand and it was designed to emulate the already highly popular Jenner Institute’s ‘Vaccinology in Africa’ course. The Thailand course consisted of several lectures given by scientists and clinicians who were at the top of their field on topics such as: requirements for vaccines, vaccine delivery, monitoring responses and vaccine trials. All of these were invaluable for my PhD research into vaccine candidates for bovine trichomoniasis and I felt they were all pitched at a fair level where someone with less immunology knowledge could understand (even when suffering from jetlag). Networking with high ranking people in these fields was also extremely helpful especially as many were based in Thailand itself or other ASEAN countries. I also found it interesting to learn how requirements for vaccines differ so much between countries and how the barriers to vaccination can vary hugely, even between neighbouring countries. I can’t talk about the course without talking about how amazing Bangkok was itself. After arriving at the 5-star hotel where the whole course was based, I had a day to myself to explore the area and see what Bangkok had to offer. I definitely wasn’t disappointed! 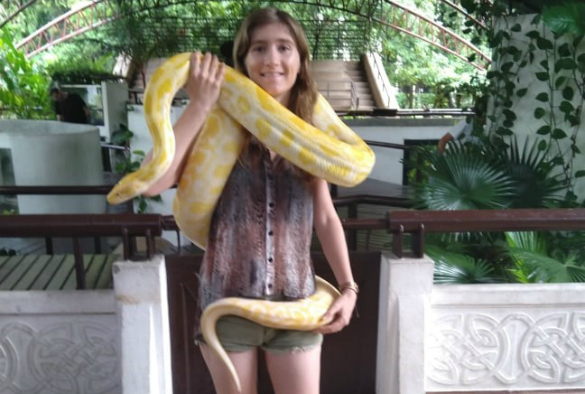 I managed to see some of the incredible temples, such as Wat Pho and Wat Arun and met some of Thailand’s more scaly inhabitants after finding a snake farm where they create anti-venom. Even at the hotel I couldn’t avoid the reptiles as there were always some resident monitor lizards sunning themselves by the pool.